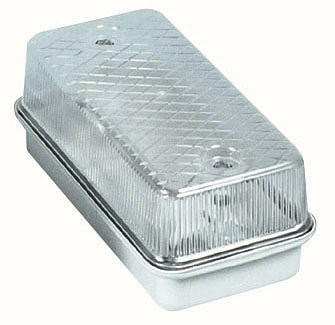 100 watt aluminium/polycarbonate rectangular bulkhead. 16 Watt 2D Round Polycarbonate Bulkhead With Black Base And Opal Diffuser IP65 Rated. 16 Watt 2D Round Polycarbonate Bulkhead With Black Base And Prismatic Diffuser IP65 Rated. 16 Watt 2D Round Polycarbonate Bulkhead With White Base And Opal Diffuser IP65 Rated. 16 Watt 2D Round Polycarbonate Bulkhead With White Base And Prismatic Diffuser IP65 Rated. 28 Watt 2D Round Polycarbonate Bulkhead With Black Base And Opal Diffuser IP65 Rated. 28 Watt 2D Round Polycarbonate Bulkhead With Black Base And Prismatic Diffuser IP65 Rated. 28 Watt 2D Round Polycarbonate Bulkhead With White Base And Opal Diffuser IP65 Rated. 28 Watt 2D Round Polycarbonate Bulkhead With White Base And Prismatic Diffuser IP65 Rated. 28 Watt 2D Square Polycarbonate Bulkhead With Black Base And Opal Diffuser IP65 Rated. 28 Watt 2D Square Polycarbonate Bulkhead With Black Base And Prismatic Diffuser IP65 Rated. 28 Watt 2D Square Polycarbonate Bulkhead With White Base And Opal Diffuser IP65 Rated. 28 Watt 2D Square Polycarbonate Bulkhead With White Base And Prismatic Diffuser IP65 Rated. The Firstlight 4 Panel Suspended Wall Lantern is in a Black finish and is IP33 rated. The Firstlight 6 Panel Suspended Wall Lantern is made from die-cast aluminium in a Black finish. The Firstlight 6 Panel Wall Lantern is made from die-cast aluminium in a Black finish. The Franklite Acorn Exterior Wall Light is a compact Italian die-cast aluminium wall lantern with an amber glass shade. The Firstlight Aero Sign Light is in an Aluminium finish. The Firstlight Aero Exterior Spotlight is in an Aluminium finish. The Franklite Alfresco EXT6625 wall lantern is in a brown finish with clear glass. The Franklite Alfresco EXT6621 wall lantern is in a charcoal finish with clear glass. The Franklite Alfresco EXT6623 wall lantern is in a silver grey finish with clear glass. The Oaks Apley Bulkhead Wall Light Is In A Black Finish And Has A Clear Polycarbonate Lens. The Firstlight Arena Exterior Wall Light is in a Graphite finish and is IP44 rated. The Firstlight Atlas Single Exterior Wall Light is IP44 rated in a Stainless Steel finish. The Firstlight Atlas Up & Down Wall Light is IP44 rated in a stainless steel finish. The Firstlight Austin Exterior Wall Lantern is in a Black finish. The Firstlight Austin Exterior Wall Lantern is in a Stainless Steel finish. The Elstead Balmoral Wall Lantern is a hand made heavy wrought iron half lantern in an Old Bronze finish. The Elstead Basel Exterior Wall Light is in a Black finish and is part of the Norlys Modern Range. The Elstead Basel Exterior Wall Light is in a Galvanised finish and is part of the Norlys Modern Range. The Elstead Bay Shore Medium Wall Lantern is in a Polished Brass finish with clear bevelled glass panels. The Elstead Bay Shore Small Suspended Wall Lantern is in a Polished Brass finish with clear bevelled glass panels. 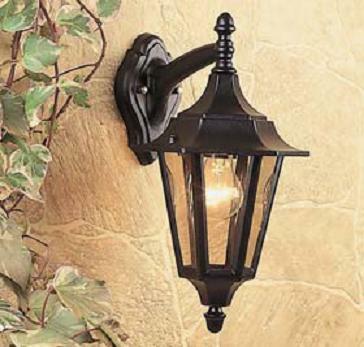 The Oaks Bedale Exterior Wall Lantern is in a traditional design and a Black finish. The Elstead Bedford Large Wall Lantern is in a Mystic Black finish with clear seedy glass. The Elstead Bedford Medium Wall Lantern is in a Mystic Black finish with clear seedy glass. The Elstead Bedford Small Wall Lantern is in a Mystic Black finish with clear seedy glass. The Elstead Bergen Wall Light is part of the Norlys Modern collection and is in a Black finish. The Elstead Bergen Wall Light is part of the Norlys Modern collection and is in a Galvanised finish. 60 Watt Aluminium And Glass Wire Guard Bulkhead In Black. The Elstead Boden Wall Light is in a Black finish with an IP54 rating and is part of the Norlys collection. The Elstead Boden Wall Light is in a Galvanised finish with an IP54 rating and is part of the Norlys collection. The Firstlight Boston Suspended Wall Lantern is in a Black finish and is IP44 rated. The Firstlight Boston Wall Lantern is in a Black finish and is IP44 rated. The Franklite Boulevard Flush Wall Lantern is an Italian Matt Black die-cast aluminium lantern with a vandal resistant polycarbonate lens. The Franklite Boulevard Half Wall Lantern is an Italian Matt Black die-cast aluminium lantern with a vandal resistant polycarbonate lens. The Franklite Boulevard Large Wall Lantern is an Italian Matt Black die-cast aluminium lantern with a vandal resistant polycarbonate lens. The Franklite Boulevard Medium Suspended Wall Lantern is an Italian Matt Black die-cast aluminium lantern with a vandal resistant polycarbonate lens. The Franklite Boulevard Medium Wall Lantern is an Italian Matt Black die-cast aluminium lantern with a vandal resistant polycarbonate lens. The Franklite Boulevard Small Suspended Wall Lantern is an Italian Matt Black die-cast aluminium lantern with a vandal resistant polycarbonate lens. The Franklite Boulevard Small Wall Lantern is an Italian Matt Black die-cast aluminium lantern with a vandal resistant polycarbonate lens. The Elstead Brighton Solid Brass Extra Large Wall Lantern is in a Sienna finish. The Elstead Brighton Solid Brass Large Wall Lantern is in a Sienna finish. The Elstead Brighton Solid Brass Medium Wall Lantern is in a Sienna finish. The Elstead Brighton Solid Brass Small Wall Lantern is in a Sienna finish. The Elstead Bromley Large Wall Lantern features a handsome silhouette and is in an Oil Rubbed Bronze finish. The Elstead Bromley Medium Wall Lantern features a handsome silhouette and is in an Oil Rubbed Bronze finish. The Elstead Bromley Small Wall Lantern features a handsome silhouette and is in an Oil Rubbed Bronze finish. The Oaks Buckley Wall Light is in a Black finish and is IP44 rated. The Elstead Byron Large Wall Lantern is in an Imperial Bronze finish with a copper-hued reflector. The Elstead Byron Medium Wall Lantern is in an Imperial Bronze finish with a copper-hued reflector. The Elstead Byron Small Wall Lantern is in an Imperial Bronze finish with a copper-hued reflector. The Firstlight Cage Exterior Suspended Wall Lantern is in a Black finish. 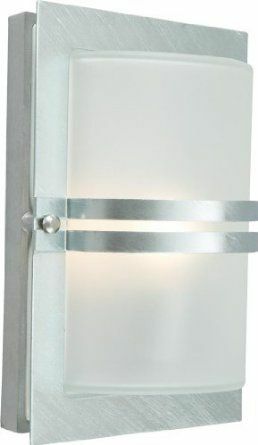 The Firstlight Cage 8352ST wall lantern is in a stainless steel finish. The Oaks Callan Suspended Wall Lantern is in a Brass finish with clear glass. The Oaks Callan Wall Lantern is in a Brass finish with clear glass.. The Elstead Canterbury Suspended Wall Lantern is a typically British lantern manufactured from die cast aluminium. The Elstead Canterbury Wall Lantern is a typically British lantern manufactured from die cast aluminium. The Oaks Cardinal Suspended Wall Lantern is in a Black finish and is IP44 rated. The Oaks Cardinal Wall Lantern is in a Black finish and is IP44 rated. We offer a large selection of quality exterior wall lanterns and outdoor wall lights to suit all styles. Working with top lighting manufacturers allows us to supply outdoor wall lighting at affordable prices direct to your door. These lights are available in traditional and modern designs and come in many sizes and finishes to suit your requirements. No matter what style or design exterior wall light you are looking for Luxury Lighting are sure to have the perfect one for you. Light up your your house, outside space and garden with a touch of Luxury.